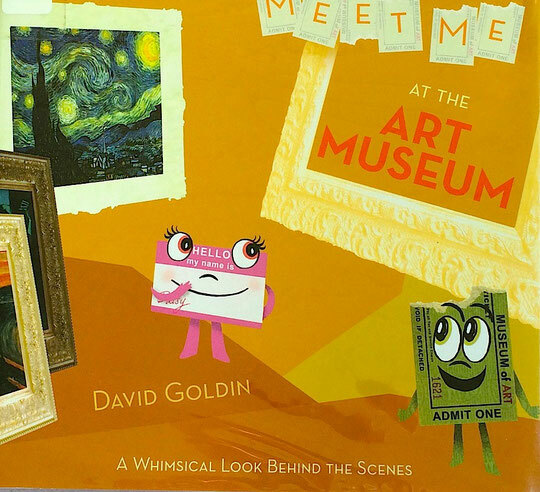 Prepare young children for a trip to the art museum with the delightful book, Meet Me at the Art Museum by David Goldin. Readers are treated to a tour of the museum's inner workings by "Stub" the ticket stub and "Daisy" the docent name tag. "From the curator's office to the library to the conservator's studio to even the loading dock, Stub discovers who does what and what goes on behind the scenes at the art museum." 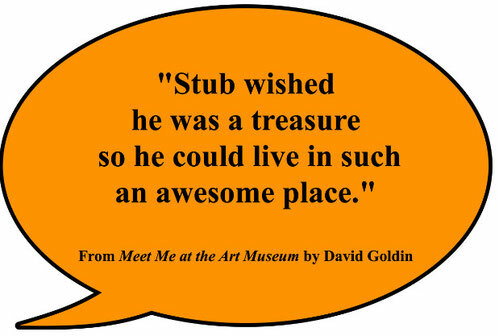 This book helps young readers learn the purpose of an art museum and is sure to spark interest in visiting one. Adults will be reminded of the four "B's" of museum-going (with young children) which are paraphrased here. Filled with artworks from around the world, Meet Me at the Art Museum also includes a glossary of museum terms and a list of the artworks shown in the book.